A modern tractor modified by doping in the water! Our reactions are inserted in italics. 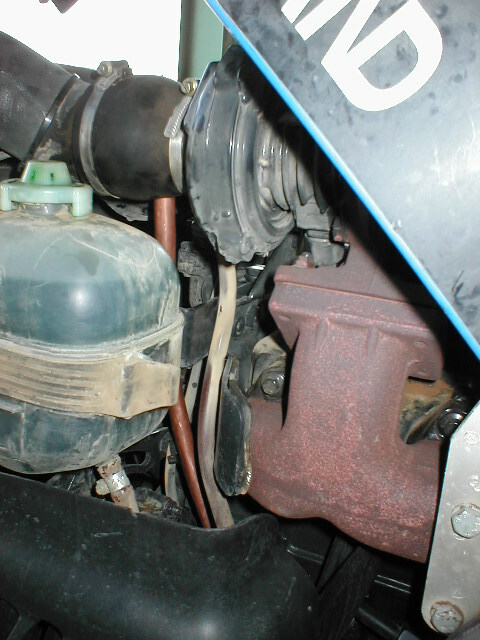 The differences are that it is recent (2002) and turbo. 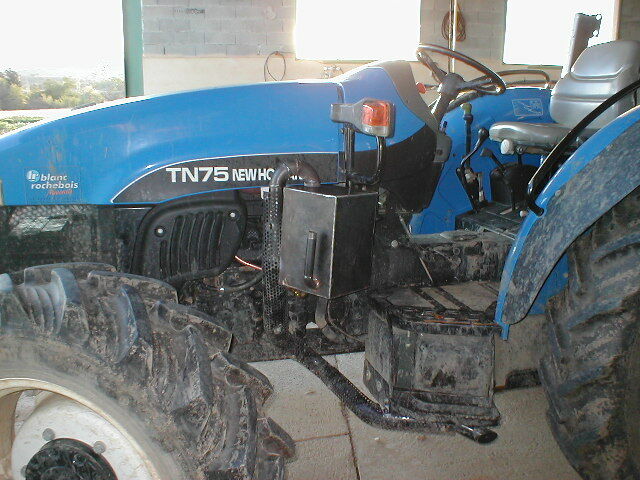 This is a New Holland TN75, 4-wheel drive. The adaptation was made in 2h30 like the others. It "bubble" from 1000trs / min and it became quieter after 30 min walk. On the other hand no big differences to the fumes because it is recent and did not smoke almost before, but there will be less odors in the greenhouses. Regarding Mérindol tractors (55, 56 and 57 cited above) The Massey 140 3,2 now consumes l / hour at full load (between 6,5 and 8l / h of origin after Massey dealership) and there is no more hot smoke (test whiter than white cloth! ) ditto for the Ford 2000. 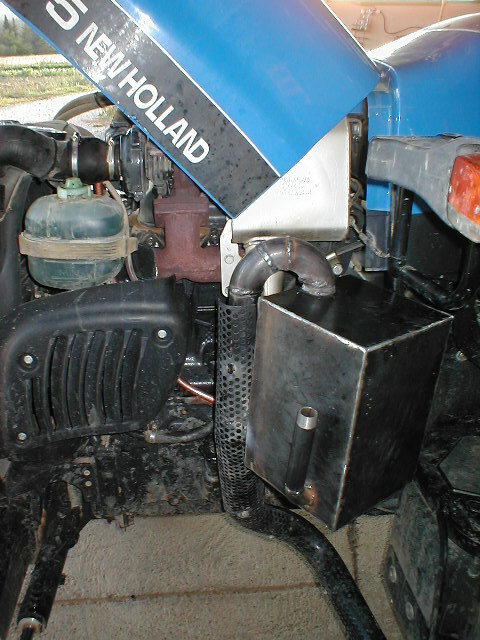 For equivalent work, according to the seller, the tractor should consume 7,5 l / h.
This tractor, fully loaded (laboratory test bench) must consume just under 9l / h.
This value is underestimated: a diesel engine has a specific consumer 5 bhp-h / l, an engine 75 CVs must consume 75 / 5 15 = l / h at full load. Note also that the system consumes just over 2 liters / hour. our remarks : This testimony seems to prove that the system would not work only on old engines but only a passage on the test bench with exact knowledge of the load and compared with the original data could confirm these results and give them a scientific rigor which is so lacking in the development process!